Combine dry ingredients first – flour and baking powder. In a separate bowl combine wet ingredients: egg, milk, honey, cheese and vanilla essence. Arrange the thin apple slices on the bottom of your non-stick rice cooker. Combine wet and dry ingredients and pour this batter over the apples. Cook until it is fluffy. Toothpick test to check if it is cooked all the way through. 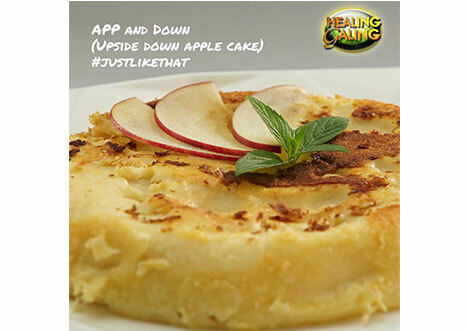 Serve as an upside-down apple cake on a plate and garnish with stevia leaves.